In June of 2011 Google upgraded some of the search functionality of its Image Search. One of the interesting new features was the ability to search using an actual image. So, instead of typing words into the search box, you can enter the URL of an image, browse for an image saved on your computer, or even drag an image from your desktop to the search box (very cool). 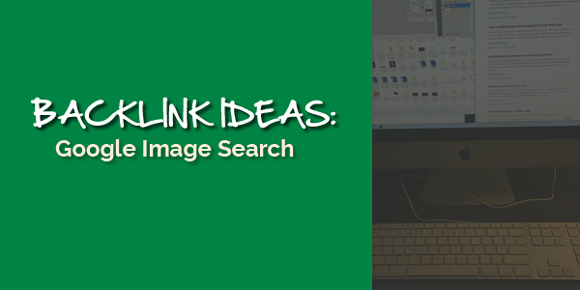 At first I was not really that interested in the whole deal, but after coming across an article today on How to Build Backlinks Using Google’s Image Search, I have to say that I am thinking of a few different ways that it can be used in your link building strategies. Research Someone: Jason shows an example of how to gain some background information on someone who is active on line. Maybe it is one of your competitors, maybe it is someone you want to meet. Whatever the case may be, you can quickly gather information on where they interact with others online. Link opportunities abound. Find Guest Posting Opportunities: Looking for some blogs to post your unique content and expand your reach? Do you know a competitor or avid guest blogger that works in your industry? Grab their avatar and in a matter of seconds you should have a list of websites to peddle your latest and greatest piece of work. Low Hanging Fruit: Working for a big firm or do you put out a lot of articles or press releases? There is probably a lot of your content out on the web right now that is not linked to a relevant page on your client’s or your website. I am sure it is a matter of time before some crafty individuals mash up some stuff to allow you to find all of your website’s images on the web. Copyscape for images anyone? Really this is good way to link building through image this is a innovative idea to link building..Thank your for sharing such a valuable blogs .. I didn’t know about this google feature. It really opens some new opportunities for backlinks search. Thanks for sharing.